Before I get to the steps involved in making an easy stenciled pillow cover, I’d like to talk about something completely different…just for a minute. In life, if we’re very lucky, we have a few friends who are always there for us. They love us for the imperfect people that we are…with no reservations or doubts. They accept us, encourage us and support us. For me, one of those friends is Debbie Manno, better known as Debbiedoo. (From the blog by the same name.) She was one of the very first bloggers I met back in 2011 when I started my own blog. Believe it or not, we have never met in person but she is, without a doubt, one of the best friends I will ever have. I honestly don’t think I would be here writing this today if not for her. She listens to me…and I listen to her. We share our frustrations along with our dreams. One of her dreams, for as long as I have known her, has been to design her own line of stencils. Just in the last few months, she has made that dream come true. To say that I’m proud of her is an understatement…because the honest truth is that I’m just about bursting with excitement and pride. Today I want to share with all of you an easy stenciled pillow cover that I made with an original Debbiedoo’s stencil. 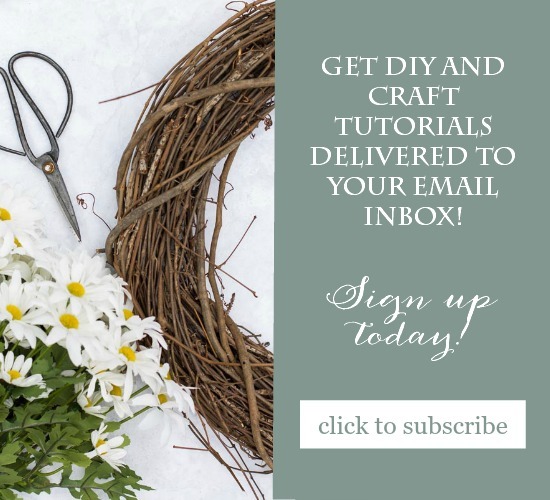 This project can be customized with your own colors or you can use seasonal colors. Make a few for yourself or give them as gifts. *The links on this page lead to Amazon, where I am an affiliate. Click HERE for my complete Disclosure Statement. First things first. Iron your pillow cover. Then, on a flat surface using a ruler, center the stencil on the pillow cover. Tape the corners down so it doesn’t move. Fill your brush with paint and begin filling in the stencil. Make sure to hold the stencil with one hand and dab with the other. I like to use the stencil creme on fabric because there is no way you can get too much paint on your brush…so nothing will bleed under the stencil. It’s easy to get a very sharp image even on a textured fabric. When the stencil is filled in, carefully remove the tape and lift off the stencil. Allow the paint to dry for at least 30 minutes. 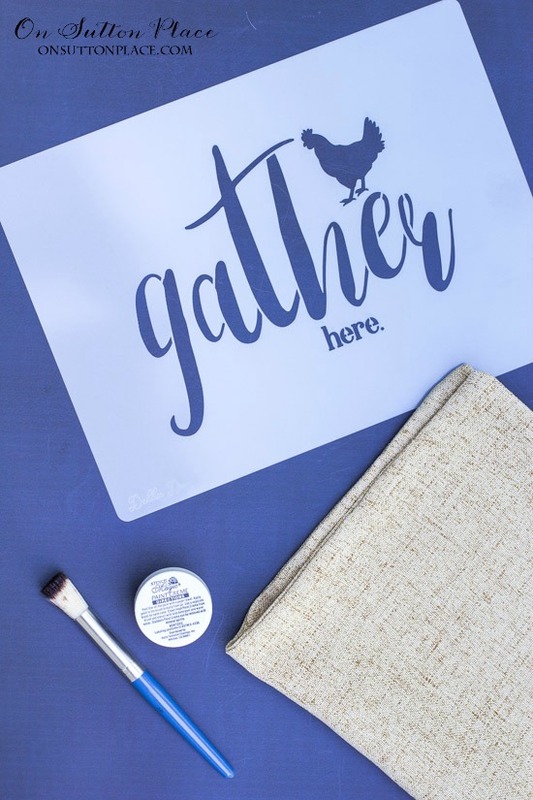 If you love farmhouse style, then Debbie’s stencils are for you. There are four to choose from. Let us know if you have any questions. 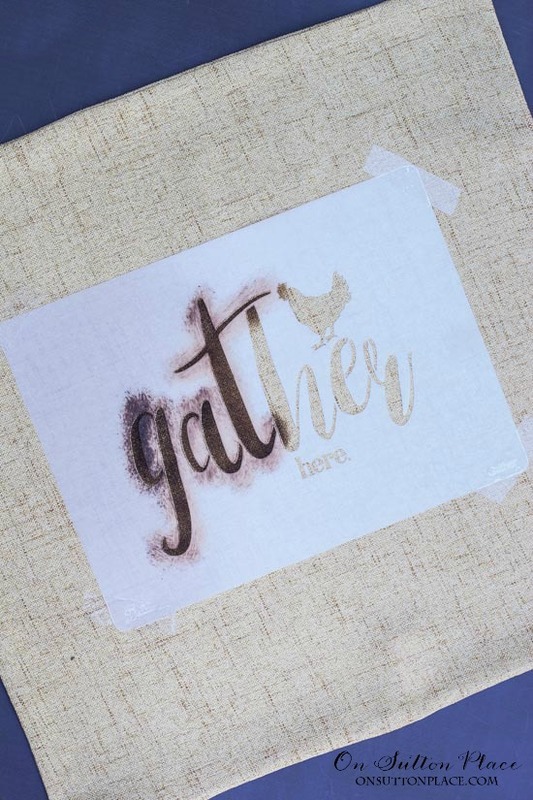 Debbie has a bunch of stencil projects on her blog if you need more inspiration. Just click HERE. After you click, there’s a linky towards the bottom of the page so scroll down to see the projects. Love this pillow. Just wondering if you ship the stencil to Canada, as Amazon doesn’t. Hi Heidi…no I’m sorry Debbie doesn’t ship outside the US. Thank you for asking! I love the Stencil’s, and yes it’s a blessing to have a friend you can be yourself with, and they still love you for who you are!…I’ve been blessed in my life to have had friends like that. My favorite one is Come as guests…Leave as friends. Very lovely. I’ve never done a stencil but that is one I would enjoy trying. I just had a woman who owns a bed and breakfast purchase one. I never even considered how cute a welcome that would be. Try it Jen, I am certain you will enjoy your creation. LOVE THIS!! Really cute and something I think even this clumsy girl could pull off! You can so do it Elizabeth and just think how proud of yourself you would be! I love these! 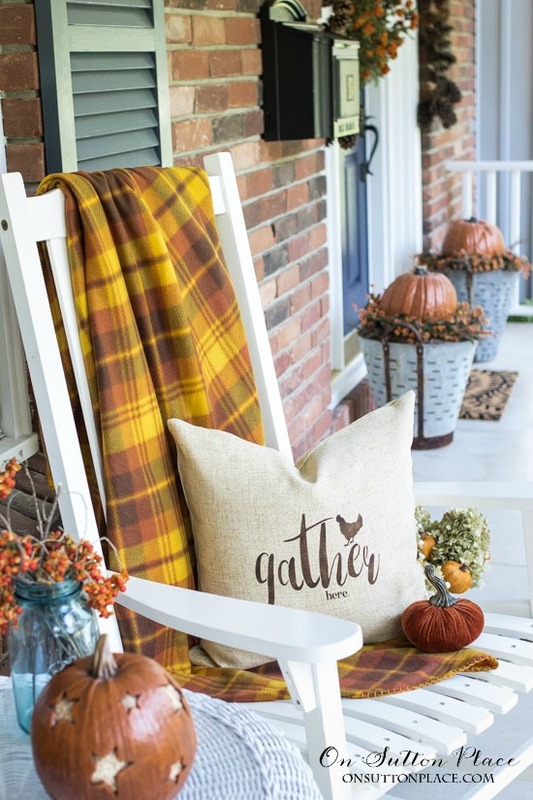 And just in time for porch sitting this fall. I have been wanting some stenciled pillows for my couch but had no idea I could easily make them for myself. Thank you, Ann! Thanks Doris! This stencil is going fast:) I didn’t think it would but so happy everyone is enjoying it. Love that stencil on the pillow. I bought a couple of Debbie’s stencils but didn’t get the gather stencil. Hmmmm…may have to do that now! Love your pillow and Debbie’s stencil. Will be going over to visit her blog, see her projects and stencils. I love to stencil projects since stencils can be used in way that changes original idea of them at times. And oh boy do I have stencils have accumulated over the years in every place we’ve lived. Have always crafted but it was when we lived in MT that I discovered craft shows on tv . Was alone a lot out on the plains as hubs was over road trucker so I really got into more kinds of crafting as way to keep myself busy in winter especially. At that time there were only 5 houses scattered out where we lived so I was alone a lot, everybody elses’ husband was home but mine. Kept myself very busy with our dog, taking care of land (20+ acres), everyday stuff and crafting. We lived 32 miles southeast of Helena, Mt out on Canyon Ferry Lake. We were from San Diego which Montanan’s weren’t fond of at all (Southern Californians) so thought it smarter to stay to myself. Since then have lived in KY and now here in western CO (about 18 miles west of Grand Junction), if had my way we’d be back in MT, still my favorite for so many reasons. I just wanted to say that I enjoy going onto your site! It is a wonderful break in my busy day! Thanks for the stencils! Someone like you must have many good friends. Someone who listens and doesn’t judge is a blessing! This has to be a difficult holiday season for you. May your friends and your good memories give you peace! Love that pillow and stencil. Stenciling is something I actually can do! I will surely make one like yours. After reading and commenting on your 50 and Fabulous post, I just have to tell you what my doctor said to me today. As I told you, I will be 70 on Saturday. Yes, I move slower but I still love keeping my house looking up-to-date and in good repair. I was telling my doctor that all the remodeling and refurbishing of our house this year has really tired me out. She said, ” why would you remodel at this stage in your life?! ?” Hello! I am turning 70 not 90! I thought you might get a laugh from the words of that little young thing. Good morning Ann! What a lovely post… the cushion is gorgeous, Debbie’s new stencil collection is fabulous and I love your endearment to your blogging friendship. I know this feeling well and treasure those early friends made through blogging. They have been there for the long haul, lifting me up, supporting and encouraging all the way. Perhaps the real friendships made are the best thing to come out of blogging. What a nice post about Ms. Doos. And of course there his her newest stencil, inspiration courtesy of her husband! It’s beautiful Ann, and so lovely on your gorgeous porch!! Debbie is a wonderful friend, and I’m so proud of her as well. Really amazing what she accomplished when she set her mind to it. Could you tell us where you got the small velvet pumpkin? Thanks! What a lovely tribute to a friend…you really should meet each other…life is just too short! Hi Ann, I love the stencils, but the promotional code is not working. I would love to order! HI Kimberly, apparently the time zone is different and the coupon is valid starting at 11:00 est. Grrrr…I am sorry. I tried to change it and now it won’t let me. Thank you so much! I will order at 11:00 est. Your stencils are adorable! I look forward to receiving them! I plan to use them to make several Christmas gifts. Thank you so much! Oh boy, it’s going to be a fun craft your Christmas for you. I’m doing the same obviously. I love home made gifts that are truly sentimental and thoughtful. Enjoy and thanks again. Love your pillow Ann, and I love your expression of friendship with Debbie. Both of you have blogs that are among my favorites. It’s wonderful that you can support each other in the blogging world. Kudos to you both!!!! Ann … I enjoy your website so very much … always something to look forward to for each Season, spring, summer, fall and winter. Thank you so much for sharing your CREATIVE GIFT from God with us on Facebook! 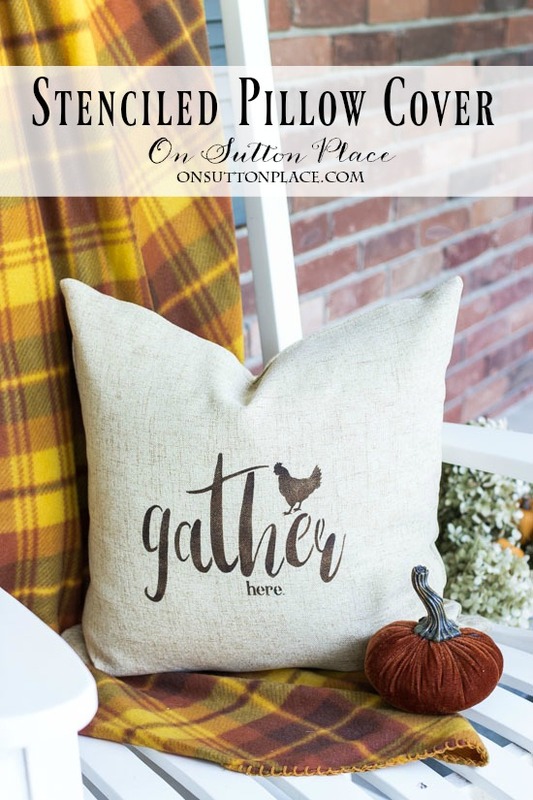 Love your Pillow and the stencil is adorable…Great job Debbie…just ordered mine! Love the pillow so cute! I also love Debbie’s blog and have for a long time right along with yours!! You are both very talented ladies!! Omg I didn’t expect to tear up first thing in the morning! There is without a doubt the mutual feeling of friendship. I have thought many of days thank God for Ann❤️❤️❤️. You truly have been my biggest support system and cheerleader I have had. I love your project Ann and I appreciate you sharing me and my stencil line. Thank you.